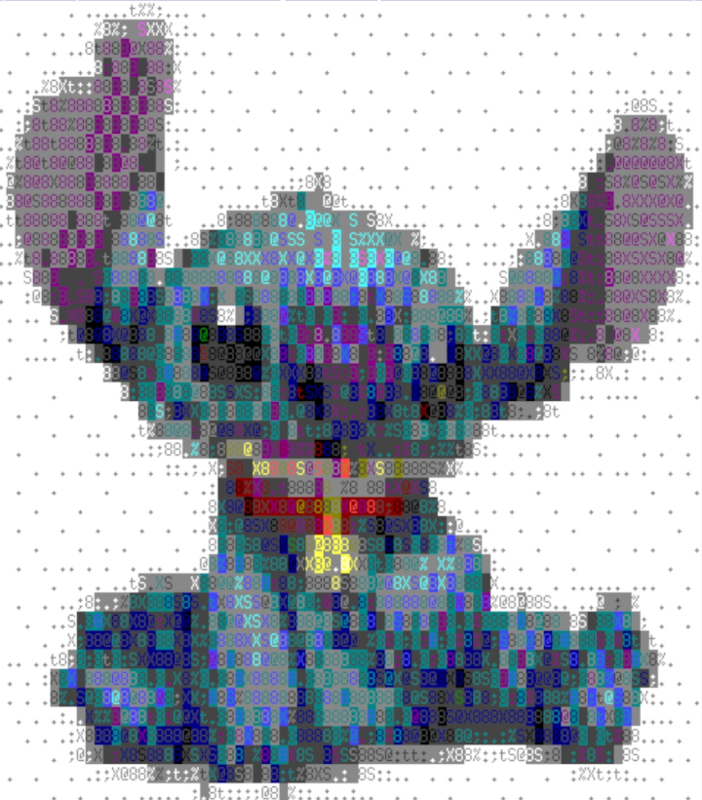 I remember having seen a screenshot of a Linux terminal-only (text) web browser, like links or lynx, but this one was able to render images (in color) using ASCII art. Unfortunately I don't remember the name. Does anyone know it, or have a suggestion for a similar software? No auth needed. The service is for demonstration only, sessions last 5 minutes and are logged. 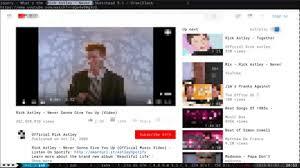 The browser Browsh suggested by user simhumileco looks OK but the images are very low resolution. Lynx can be configured to display images using aaview or cacaview. w3m can be configured to display images using cacaview. RetroTxt can take old text and ASCII art images and display them on a modern browser using a Chrome or Firefox plugin. It allows selection of monospaced fonts for better viewing. 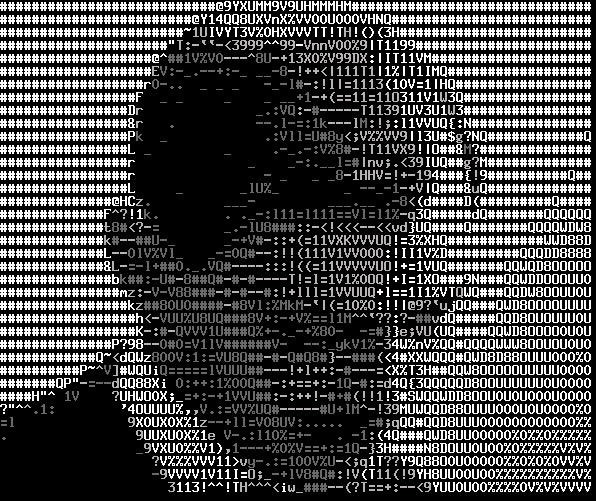 Both VLC and MPlayer can play modern videos rendered as ASCII art. Android WireGoggles displays a real-time wireframe outline of what your camera is pointing at. 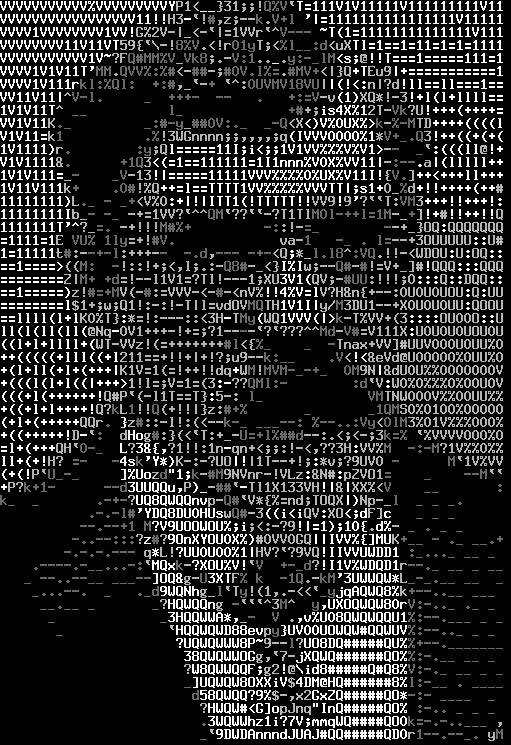 Android Ascii Art Generator converts images on your phone to ASCII art. Not the answer you're looking for? Browse other questions tagged linux web-browser ascii or ask your own question. Is Firefox the only browser that supports not reloading all open tabs at startup?